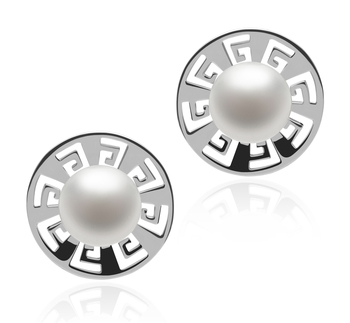 Round shiny silver discs with a cutout design reminiscent of ancient symbols, cradle lustrous white freshwater pearls. 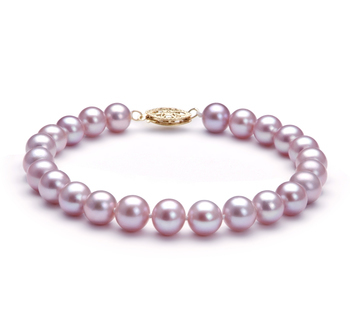 These stunning AAA grade pearls are 8-9mm in size, with gorgeous opalescent colors shimmering across their satiny surface. The wardrobe friendly Noah earrings have fun geometric styling making them a great accessory for any wardrobe. 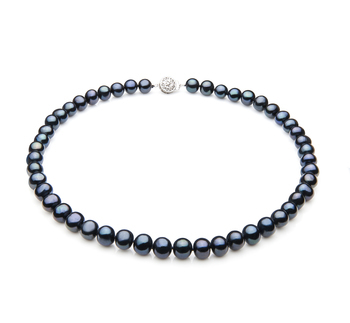 They are perfect for the most casual outfits yet carry just enough sophistication for informal office wear, making them the go-to accessory whether dressing up or dressing down. 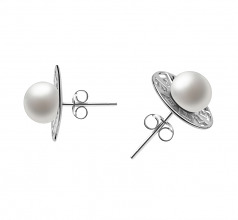 The white pearl Noah earrings with their decorative detailing have a chic and fanciful look a teen or young woman will love while being refined enough for Mom. The Noah earrings let you show off your trendsetting style with every outfit you wear and are as individualistic as you are.